If you're looking for a hard-wearing neutral rug which works well with most decors, then you'll be hard pressed to find a collection more fitting then our Bespoke Wool collection. A collection offering versatility and superior comfort, choose from our listed sizes or have a size made to order. Choose from squares to circles, even long runners or stair runners, the options are limitless. 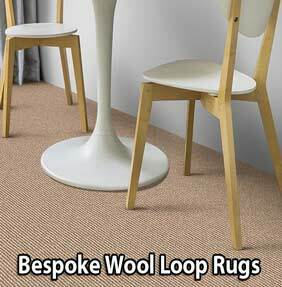 Bespoke Wool Loop is hand-woven from pure wool, the tightly woven loop pile is easy to clean and will give many years of use.